From the soaring chandeliers to the marble beneath your feet, every surface of the Grand America Hotel holds a story waiting to be told. Take a self-guided stroll with our complimentary tour book, or schedule a private showing with the Grand Ambassador—and discover aesthetic treasures at every turn. The painting by Henri Bouved depicts the painter’s family having tea. It hung for many years in the Bouvet home in France. Aubusson Tapestry: "The Bowling Game"
Made in the Aubusson Royal Manufactory in the mid-18th century, this wool and silk tapestry depicts scenes of village life. Antique French desk with bronze ormolu trim and an inset leather top. Ormolu is an 18th-century English term for applying finely ground, high-karat gold to an object on bronze. 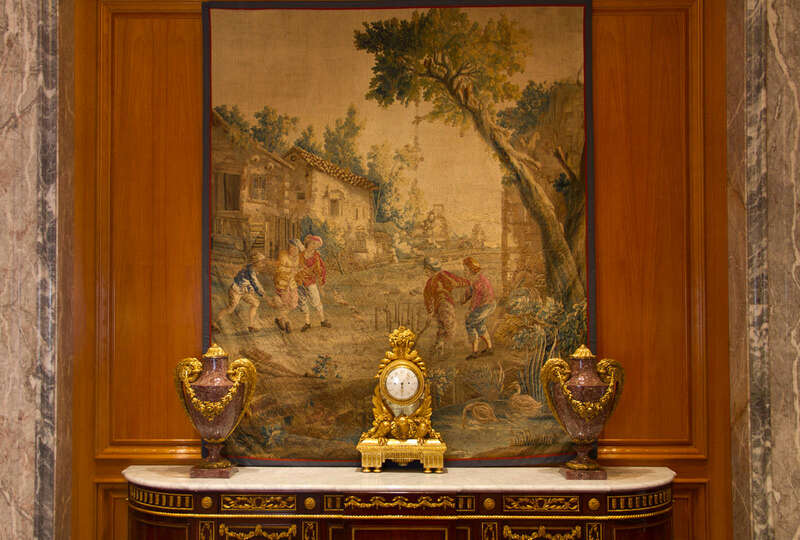 Throughout the Oak Room, you will find a collection of marquetry pieces done by Jean-Charles Spindler, a third generation marquetry artisan from Alsace region of France. Marquetry is the ancient art of inlaying many different types of wood to create a detailed design. More than once thousand veneering oils and several thousand varieties of veneer have been chosen from throughout the world to complete the pieces. These 12′ diameter Moscatelli chandeliers are the largest bronze and crystal chandeliers ever made. During their centuries in the chandelier business, the Moscatelli family was fortunate to acquire a large amount of rare antique pendalux crystals, which were hidden in the Czechoslovakian countryside by Mr. Moscatelli’s grandfather during World War II, then driven by him in a wagon to their Milan, Italy factory after the war. Stay a night at The Grand and spend $100 on anything your heart desires. It's your choice. From $299/night, experience the best that The Grand America Hotel has to offer with a package that allows you to choose what is best for you. 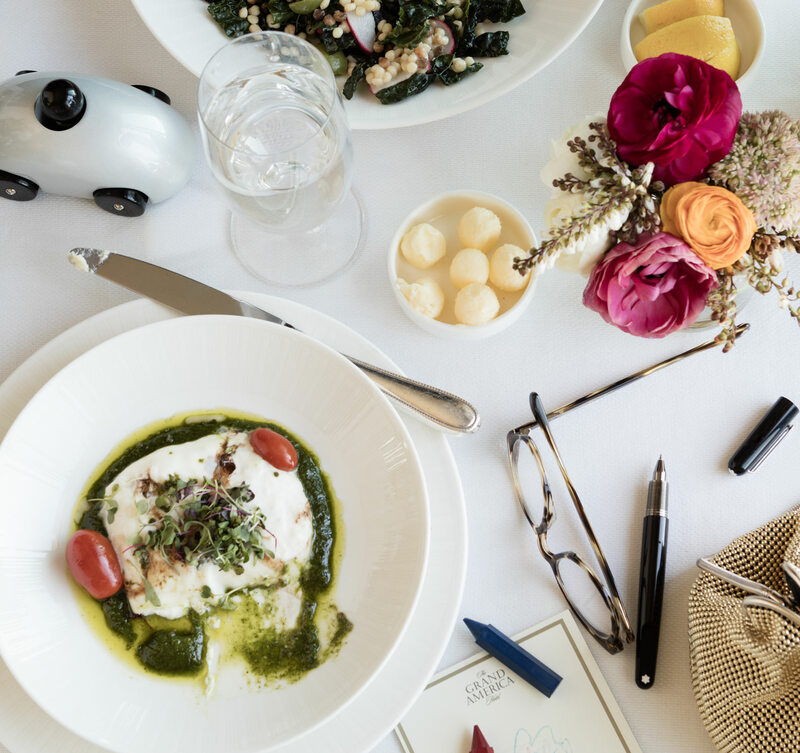 Whether you enjoy a fine dining experience, a spa service or a special something from the Shops at the Grand.